Adidas ski/snowboard goggles in blue. Good condition with only very minor scratches to lens. A great all round lens and usable in everything except very low light. 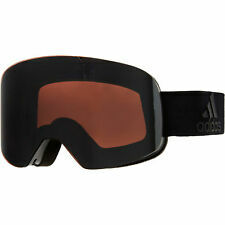 Adidas Yodai Metallic Ski Snowboarding Goggles With Bag. The goggles are in fantastic condition and show little to no signs of use. Includes their original carry bag. Adidas Snowboarding Jacket XL. Condition is excellent. Dispatched with Royal Mail 2nd Class. .Adidas ski goggles. Condition is Used, Lenses are Antifog Vision Advantage, Orange Lenses, been used for 3 skiing trips, there are some scratches on the lenses but have shown in the pictures, Dispatched with Royal Mail Signed For® 2nd Class. It's made of breathable fleece for warmth and stretchy fabric for easy on and off. Finished with an adidas Badge of Sport on front. Golf Clothing. Golf shoes. golf travel bag. Golf Trolleys. Golf Trolley Accessories. Adidas Snowbreaker jacket. Waterproof suitable for outdoor/snowboarding/skiing. Hood removable 2 large pockets, zip, high neck, logo on front. Adidas Stella McCartney ski pants midnight brand new UK 8 Stella size 34 . Condition is New with tags. Dispatched with Royal Mail 1st Class. Good condition with light marks on lens only. Made from eco-friendly recycled polyester with an under-boot loop to help keep out snow. Bottom adjusts to fit ski boots. Ski edge protection on hems. 91% recycled polyester / 9% elastane double weave. Adidas ski goggles. Condition is Used, Lenses are Antifog Vision Advantage, Orange Lenses, been used for 3 skiing trips, there are some scratches on the lenses but have shown in the pictures, Adidas case, Dispatched with Royal Mail Signed For® 2nd Class. Adidas snowboarding jacket in a medium. Really dope looking jacket with Recco technology in excellent condition. No rips, holes or marks as it’s been used very sparingly over the last 12 months from new. I am always open and honest with all my used item. From a smoke and pet free home. Check out my other items for more Adidas gear. Vintage Adidas Racing Ski Suit Size From the late 80s or Early 90s Size Large Stand out on the slopes with this vibrant piece! Made from flexible material Full Zip closure up each side! Condition is Used. Some small signs of ware are present but in overall great condition! Dispatched with Royal Mail 2nd Class. Length (collar to hem): 33". Pit to Cuff: 19". Pit to Pit: 25". Shoulder to Shoulder: 25". PRICE REDUCED FROM £300!!! Amazing adidas snowboarding jacket that was actually issued to the Team GB snowboarding team at Sochi 2014. This is the real deal, as worn by Jamie Nichols, Jenny Jones and Amy Fuller - not a replica. Size is Large - or 44/46 It has all the high end touches, sealed seams, snow skirt etc etc... Top piece of kit! Marked as new as it’s never been worn by myself! Reluctant sale to fund my kids snowboarding gear!!! Any questions, please shout up! Brand New with tags Adidas Ski Trousers in Yellow. Bought as a present this year for €200 in St Anton, Austria. ADIDAS TEAM GB ISSUE - ELITE ATHLETE BLUE WINTER TECHNICAL SKI PANTS 26"
The lining is sumptuously soft, it feels incredible!Outer:-100% Polyester, Inner:-100% Polyurethane. ELITE ATHLETE NAVY BLUE WINTER TECHNICAL SKI PANTS. ADIDAS TEAM GB ISSUE. SIZE:- UK 26" US XS CDN XSXP FR 156 E 156 D 2 I 2 J XS. 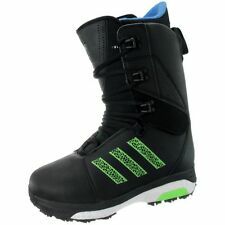 Adidas Mika Lumi Snowboard Boots Black Red Silver Uk 5.5 US 7 FR 38 2/3 CHN 235 BNWT. It's lightweight, yet responsive and features dual zone lacing to help you conquer everything from park to powder. Size 10.5 UK / 45.5 EUR / 29CM. Great looking snowboard boots ! Color :Black White Blue. Enjoy and have a good one ! We are aiming to give you a quote in the next 12 hours. The scarf features the UK woven College of Arms crest embroidered on one end & the Team GB & adidas logos on the other end. One size fits all & 96% Polyester & 4% Elastane, for amazing comfort. ADIDAS TEAM GB PYEONGCHANG 2018 WINTER OLYMPICS. Large Adidas softshell jacket & large lazyboy trousers in grey. Trousers RRP £140. Jacket RRP £160. • 32” waist or larger. The condition is used but are a good condition. Adidas X Burton Gluhwein Collaboration Collection Ski Snowboarding Jacket. Detachable hood with zip & lockable draw string to enclose tightly around head.